Austria and Vienna are not short of a few famous local and adopted sons and daughters, and a good selection of them found their last resting place in the Zentralfriedhof (Vienna’s main cemetery). If you visit the site, you won’t find big neon signs pointing to the most interesting graves and crypts, which is fair enough as it’s a working cemetery and not primarily a tourist attraction. But I’ve pulled together some names and directions for you. So if you want to stand within a yard or two of Beethoven, read on. The first thing you need to know is that most of the famous graves are in special groups known as Ehrengräber (honorary graves). The award of an Ehrengrab in the Zentralfriedhof is one of the highest honors the city can bestow on someone. Aside from the Ehrengräber, it’s also worth noting the Präsidentengruft (Presidential Crypt). This is where all the post-WWII Austrian presidents are buried, most recently Thomas Klestil, who tragically passed away just two days before the end of his term of office in July 2004. Some of the above died well before the Zentralfriedhof was constructed. The authorities moved them there to create the Ehrengräber as a means of encouraging people to visit the cemetery despite its distance from the city center. First off, familiarize yourself with the cemetery’s broad layout using this map. You should enter through the main entrance (called “Tor 2” – bottom center of the map, where the red 2 is). Tor 2 is a stop on tram no. 71. 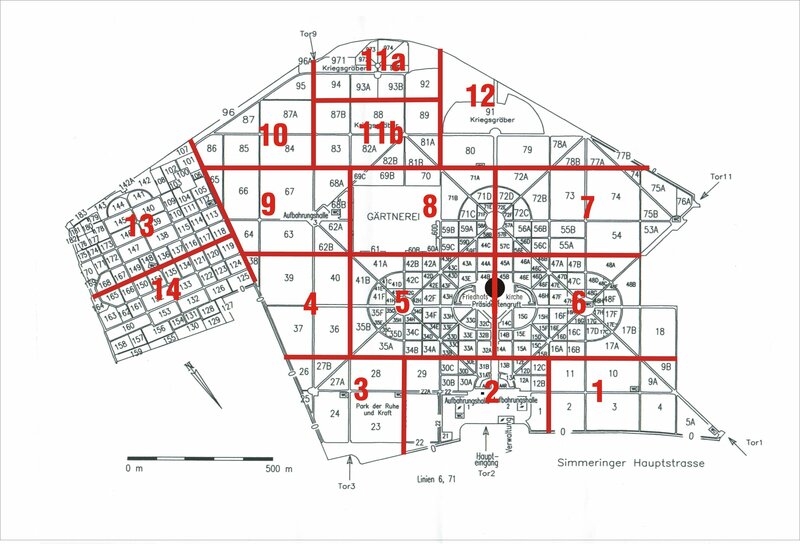 There are four main sections dedicated to Ehrengräber, labelled group 32A, group 32C, group 33G and group 40. To find them, go through Tor 2 and carry on straight ahead on the avenue towards the large Art Nouveau church you can see in the distance and between the large stone arcades. Each group contains a number of famous graves, though many of them won’t mean anything unless you’re familiar with Austrian and Viennese culture and history. 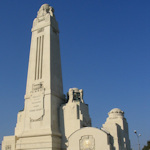 For travel directions, see the main cemetery article.